Get real help, real solutions, from a proven, reliable tax firm STC is here to Help. We have a saying at STC, the facts of your tax problem will drive the case; our experience, our knowledge, and our passion to help you will provide the map to the solution and best possible outcome. We analyze the facts of your tax problem and determine what strategy/solutions are in your best interest; this is how serious tax problems are solved. 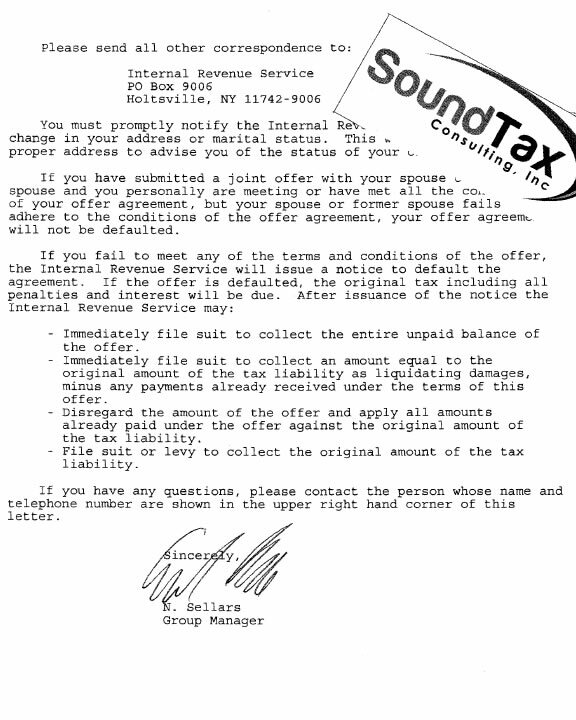 Claims from the TV tax firm commercials and the boiler room tax firms (letters, phone calls to taxpayers with liens) promising their magic pixy dust solutions with glossy promises are just slick sales tricks and are for fairy tales and is the reason these firms have numerous complaints with the BBB and online complaint sites. We realize this can be a confusing and frightening time for you and we promise to help you through your tax problem with compassion and understanding. 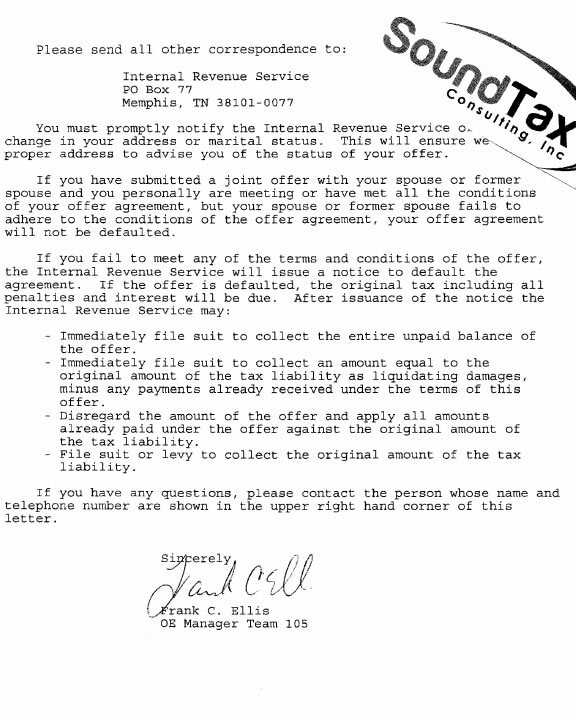 You have found tax relief that you can count on. Call 206-633-6089 to get your On- on-One support and immediate help. You will be treated with understanding, respect, and our honest desire to help you solve your tax problem. You will be surprised how you will feel once you have started the process. That's where we can help you. Let's get working towards a solution today. We will evaluate your case facts as you know them to determine what solution will be in your best interest. Options/solutions include Levy Release, Offer In Compromise, (OIC), Penalty Abatement, Injured or Innocent Spouse, Installment Agreement, and amending or preparing tax returns. We will work to find the option/solution that will reduce or eliminate your tax liability. We will help you understand your current situation and inform you of your rights and options. We will take quick action by starting you on the path to solving your tax problem. 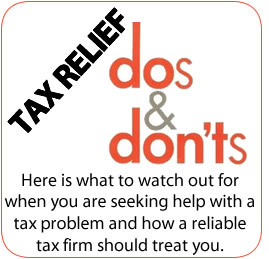 Don't wait for the State or IRS to "tell you" how to handle your tax problem. 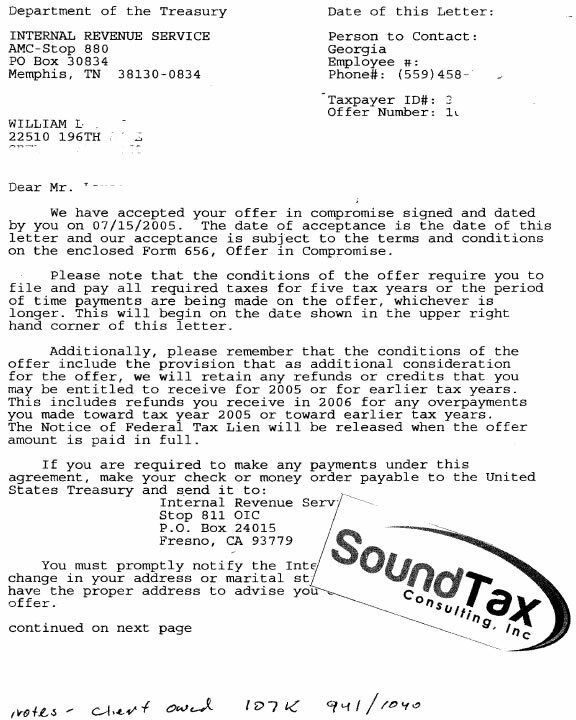 Often, the IRS or State's Collection Department's quickest solution is immediate payment in full. Helping you understand your options and rights isn't their job. Do you need to file business or personal TAX RETURNS for multiple years or one year? 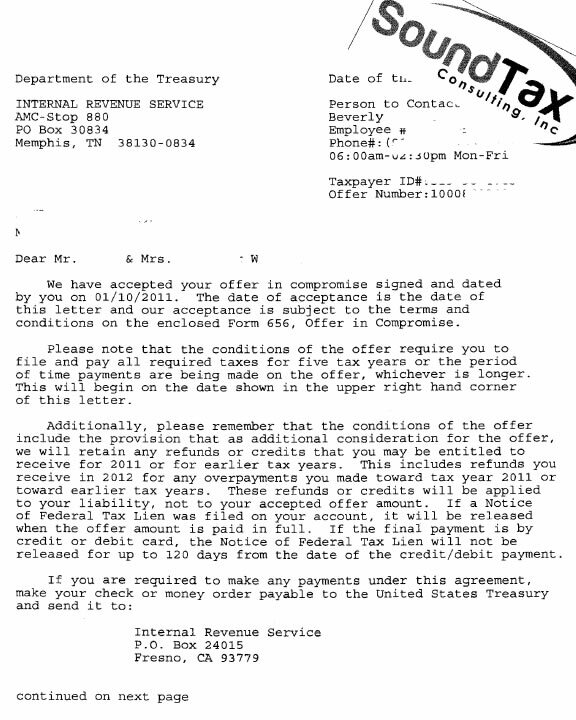 The IRS or the State is now or will soon Levy (garnishing) my paycheck and bank accounts? 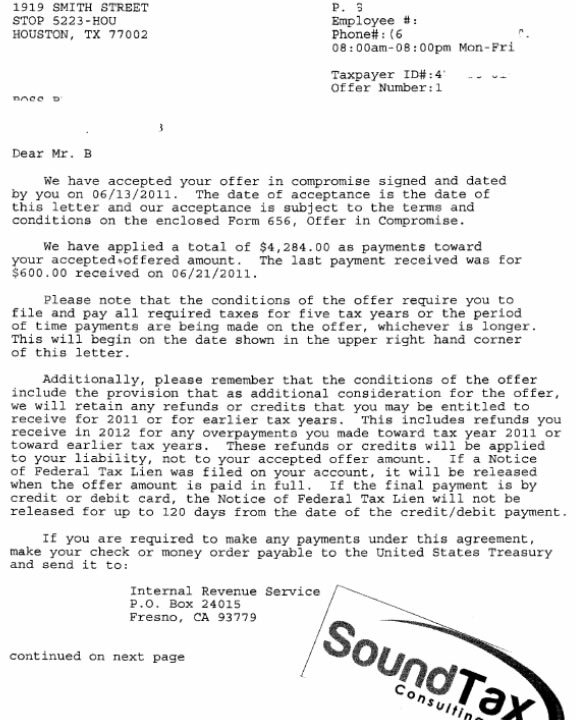 I have received a letter from the IRS or State that they are going to Audit me, can you help? Do you currently have an installment agreement with the IRS or State that is unaffordable or you have defaulted on an installment agreement? Have you discovered that a Lien has been filed against you? Can you help me reduce my Penalties and Interest? 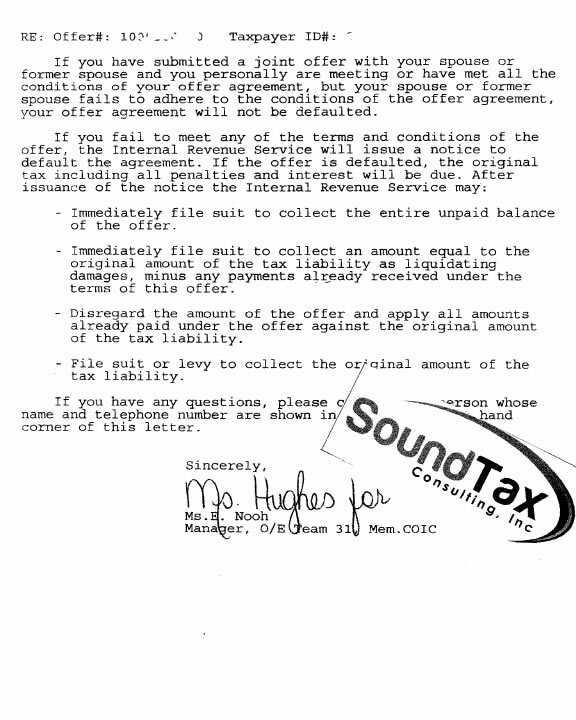 My ex-spouse (or current) created a tax liability. Can I claim Innocent Spouse? Have you been contacted by phone or letter from a tax firm promising the moon and the stars if only you give them a ridiculous amount of money in advance….? 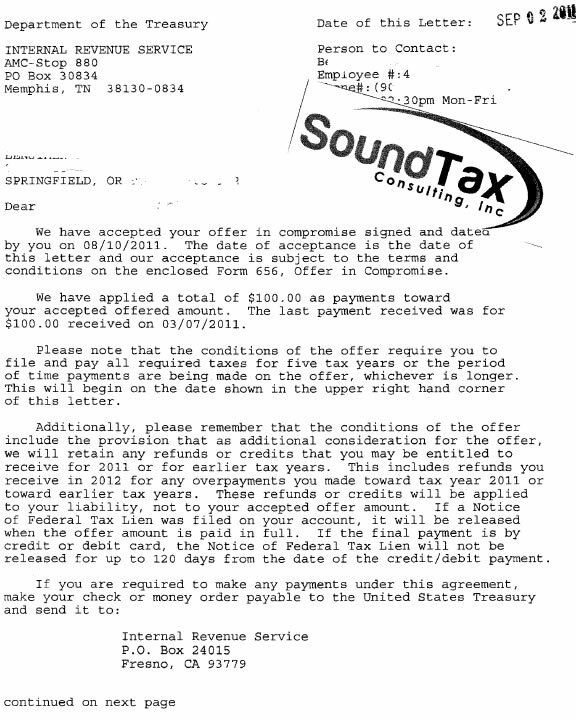 I hired a tax firm that has done nothing, transfers me to new person each time, lost my file, blames the delay on me, but still wants me to pay? We can help you with all of the above, answer your questions and explain how our process works; it will make sense to you. Plus your first call is at no cost or obligation to you. Receive a FREE and CONFIDENTIAL CONSULTATION by calling us TOLL FREE at 206-633-6089 . You can also fill out an email form by clicking here but we suggest you take the quickest path towards your solution by calling. Take advantage of the 1-on-1 level of support that only a phone call can offer. It's your first step to putting your tax problems behind you. Don't let worries of dealing with the IRS or State scare you into taking no action at all ... Get Help Now.